Definitely the most important plant to be learnt by any resident or visitor to the Peninsula or Outer Coast Ranges. It has leaves in threes, shiny and bright green turning to brilliant red in the fall. 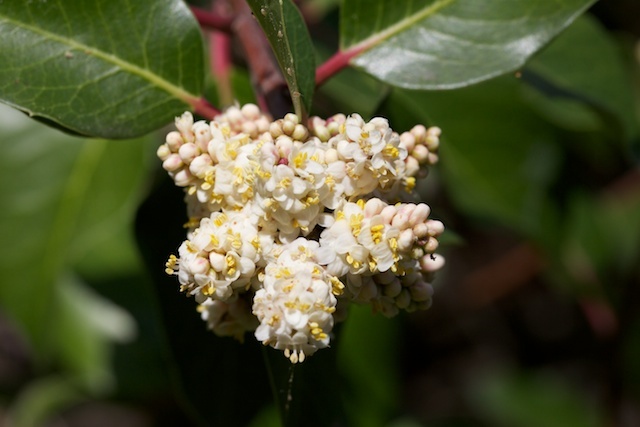 Flowers are dioecious, male and female flowers growing on separate plants. 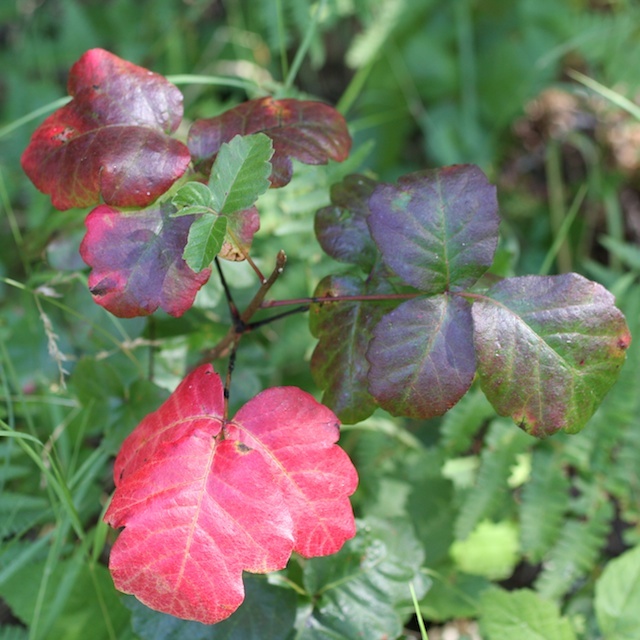 Poison Oak can grow as a creeper, climber or as an ordinary shrub. 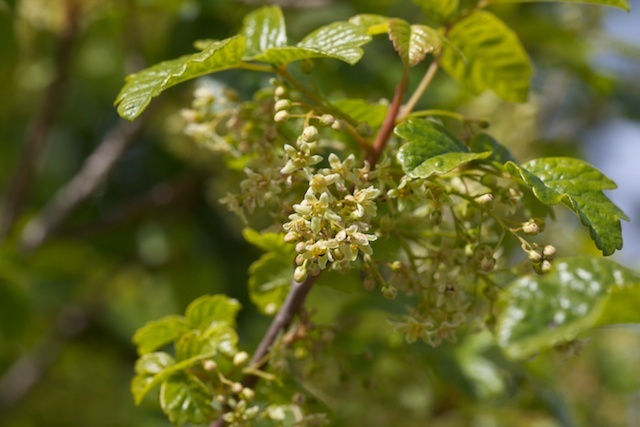 All parts of the plant secrete an oily resin (urushiol) which is capable of causing an extremely unpleasant rash if contact is made with the plant, with clothes that have been in contact with the plant or dogs that have been in contact with it. 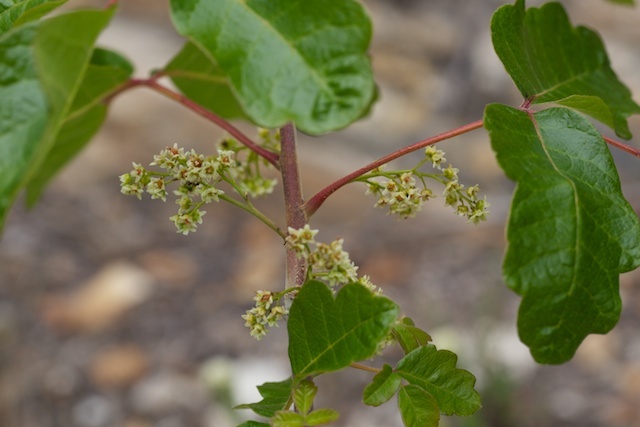 Inhaling smoke from burning Poison Oak can also induce a reaction. There is a popular saying, inaccurate but worth remembering — “Leaves of three, let it be”. 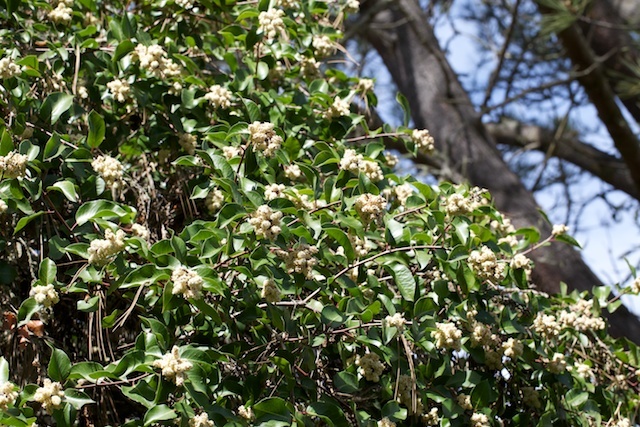 A large shrub, this is similar to and easily confused with the Lemonade Berry (Rhus integrifolia) with which it hybridizes. The leaves tend to be folded along the midrib and have an acute tip (the leaves of Lemonade Berry are usually flat and more rounded). The sepals are pink (those of the Lemonade Berry are green). 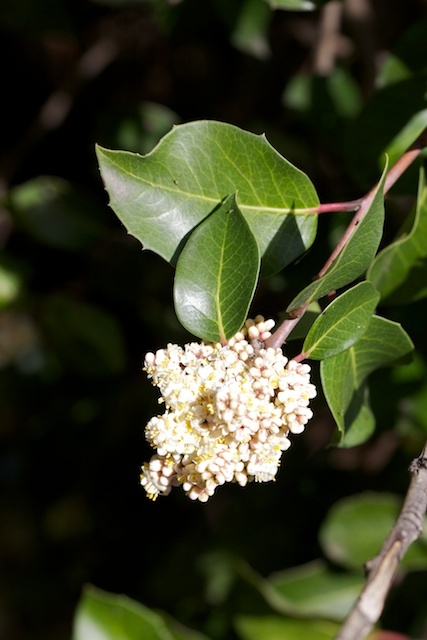 Both are native to Southwestern and Baja California but are cultivated elsewhere.